Has your garage door suddenly stopped working? If so, your door could have suffered a broken spring, and it needs to be replaced. Garage doors can also suffer from sliding off track to having worn parts. Read our FAQ page for answers to the most common repair problems, or call our professionals for an estimate without cost or obligation. The quality of the material will determine its longevity and the right choice will ensure it. Garage door materials must be selected in accordance with the requirements of the local conditions. For high moisture areas having galvanized garage door parts and panels they increase durability. Our professionals say that all materials need good treatment and parts lubrication maintenance. Should I get multi code remotes? Multi code garage door remote control systems are great for those who have two openers. Some remote controls will allow you to use the second button for the car alarm or house alarm system. If you simply have one garage door opener today, there's no need for multi code clickers but doesn't hurt thinking of tomorrow either. Which kind of spring is better? When it comes to a garage door spring replacement, the best would be the torsion springs. They allow better balance for the door’s weight that leads to a smoother operation. However do not make the mistake of interchanging the springs when getting garage door spring repair done. The wrong kind of spring might spell trouble for the mechanism. How will I know if my garage door is not balanced? If you try to open your door and it is difficult to open with just one hand, this indicates that the spring isn’t counterbalanced correctly. The springs may have been installed incorrectly. This will cause your doors to be imbalanced. Imbalanced doors can affect other parts of your door. 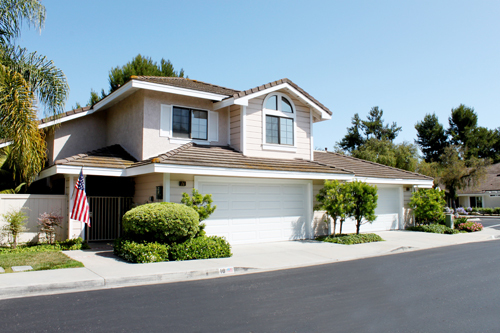 When Should You Have Your Garage Door Maintained? Why Hire Our Local Services?